Safety training programs have evolved over the years from simple managerial directives to multi-faceted committees, reporting, regulations, assessments, and leadership responsibilities. The task seems daunting, but any organization, no matter the size, is fully capable of implementing a safety training program that protects workers from all workplace hazards and forms a loop of continuous reporting, employee feedback, and inspection that influences managerial control. They aren’t just programs, they’re living, adapting organisms dedicated to the efficiency and safety that feed company procedure. Sound complicated? With the following 7 elements in mind, creating a safety training program can be easy. Safety training programs begin with leadership. Even though health and safety is a shared responsibility between management and workers, management must ensure compliance with relevant regulations. Therefore, directives should aim to alter employee attitude and improve workplace procedures. It is important that, in the early stages of program implementation, management makes use of clear communication and employee feedback. Management must make it clear that this process is intended to create a health and safety policy committed to employee safety. They should also consider the overall objectives of the safety training program and build that framework around compliance and legislation. These objectives should be outlined in the policy statement, which is a set of general rules and principles that guides the formation of internal committees and work procedures, giving shape to the overarching safety program. Policy statements should contain unambiguous language and terminology, be up-to-date, and be communicated to employees at every level of the organization. In addition to leadership, safety programs require dedicated staff to form a trustworthy and accountable authority between workers and management. This authority, often in the form of a committee, should be capable of influencing policy, relaying worker complaints, and holding all parties accountable to internal and external regulations. In Alberta, as in many other provinces, these committees, known as Joint Health and Safety Committees, are required by law. The committee’s authority is created and maintained by the Occupational Health and Safety Act, which also dictates the size and composition of the committee itself. Committee membership should reflect all employee roles and responsibilities within an organization. Joint Health and Safety Committees should maintain regular meetings with both employees and management to discuss responsibilities, safety training, corporate safety policy, hazard recognition, incident evaluation, program implementation, employee feedback response, and maintenance of hazard records. Workplace hazards can take any number of forms. They can be physical hazards, such as lifting or repetitive motions; chemical, such as exposure to flammable or corrosive liquids; biological, such as exposure to fungus or viruses; and even psychological, such as stress, fatigue, or emotionally distressing situations like workplace violence or abuse. Some hazards are imminent and some are latent, but most are caused directly by people, equipment, materials, or the workplace environment. To help make hazard identification comprehensive, use first-hand observations and safety surveys collected over an extended period of time to form a complete database of all potential and periodic hazards. All hazards should be fully inventoried and prioritized along with existing equipment and hazard control procedures. This helps outline work procedures, and knowing work patterns, locations, and work site details helps create safety procedures that reflect the real world. Hazard control is the element that all other elements feed towards, making it one of the most involved and important steps in the creation of safety programs. Before formulating hazard controls, check if any identified hazards are already controlled by regulatory bodies or government legislation, as these represent minimum safety standards. In order to clearly define hazard controls, each task within an organization should be broken down sequentially and its hazards explained. If work procedures contain multiple tasks, each task should be analyzed individually and the reasoning for protective safety measures explained. Controls exist on a hierarchy from elimination to personal protective equipment. 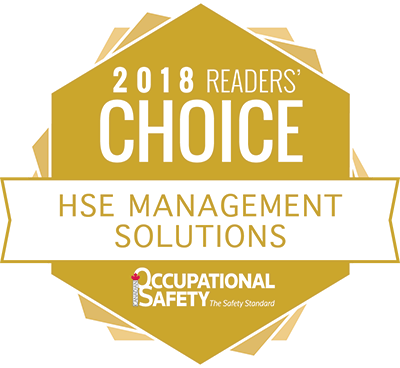 Managers should always strive to eliminate threats to worker safety first, progressing through the hierarchy until an appropriate control measure is selected. Personal protective equipment should always be the last line of defense in worker safety. When designing hazard controls, first consider whether the hazard can be completely eliminated. For example, if workers frequently trip over loose tools, the hazard can be eliminated by removing the tools from the ground or maintaining a clean workplace. Substitution involves replacing a hazard with a safer alternative. This is often used in the case of equipment. For example, replacing regular table saws with ones that automatically detect the conductivity of human flesh to stop the blade, substitutes a machine capable of maiming or even killing employees with one that presents practically no danger. Engineering controls involve creating infrastructure or physically engineered safety measures that control or contain hazards, such as protective glass that shields workers from the sparks of a welding station. Administrative controls are put into place to change dangerous work habits. Administrative controls can consist of simple steps, like implementing signage as procedural reminders, but also encompass greater work directives, like doing dangerous construction work at night when fewer people are present and likely to be injured. PPE, such as a hard hat or respirator, stays with workers at all times to ensure that if any other controls fail, they are physically protected. A major part of demonstrating ongoing commitment to worker safety is through ongoing inspections that evaluate safety procedures and worker compliance. Effective inspection programs define exactly what needs to be evaluated—for example use of PPE, equipment condition, and whether or not control measures are being used—and how it needs to be measured. Programs should also define the frequency of inspections and who is authorized to perform such inspections. 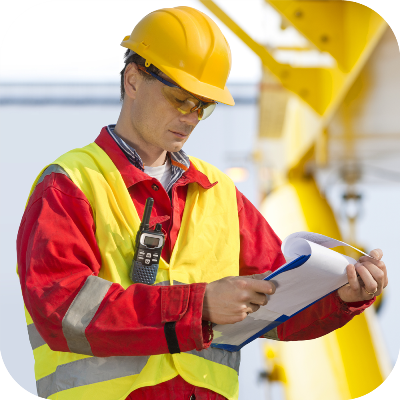 Inspection forms and checklists can be a big help, not just for safety personnel but for all workers. Lists should define unsafe conditions and actions, health hazards, and required equipment. Remember to be SMART when designing checklists: specific, measurable, action-oriented, realistic, and time-specific. Additionally, having well-defined safety checklists that incorporate employee input increases participation in inspection programs. Sometimes safety procedures fail; workers can be injured and equipment damaged, but all of these factors can be mitigated by having the correct emergency response plans in place. In many provinces, emergency response plans are required by law, so provincial, municipal, and federal laws should be reviewed for compliance when establishing an emergency response plan. You should also review all hazard checklists and consider all potential sources of incident or injury. Response plans should include first aid and procedures for other staff in the event of an incident. Emergency response plans should also include things like natural disasters, industry-specific events, and any other events outside of your organization’s control. These events may never happen, but it’s precisely this kind of out-of-the-box thinking that should typify emergency response planning. In addition to emergency response plans, organization should have strict reporting systems in place to fully investigate all incidents. Incident investigation policy should dictate investigation time frames, required participants, and basic steps for incident investigation. Incidents should then be reported back to safety committees and management to find their root cause and, in extreme cases, modify safety procedure. On the surface, safety training programs may seem complex, but after closer examination, it’s clear that they are intuitive and logically designed. Each element has its own internal dynamics that tie the system together and offer a wide variety of benefits. Fewer incidents are just the beginning. Creating a system that listens to your employees and involves them in the safety training program also instills better morale, increases productivity, and affects highly intangible variables that are, traditionally, quite difficult to control, like absenteeism and staff turnover. The key is to build each element on company and industry research, then effectively communicate the program to all members of the organization. As you couple your safety training program with proper worker training and other preventative measures, you’ll be on your way to an incident-free workplace.